Apologies to subscribers to this blog who received a sneak email preview of a future post by mistake today. Sometimes the technology can get the better of one… We hope you will all memorise your lines, excuse any unedited typos and wait patiently for the final version of Scotia’s Thistle. As a little sweetener, we offer G.L. Watson’s beautiful 1883 yawl, Wendur, built of steel – with flush topsides plates – at D. & W. Henderson’s Meadowside Shipyard, Partick, Glasgow. Martin Black’s award-winning biography G.L. 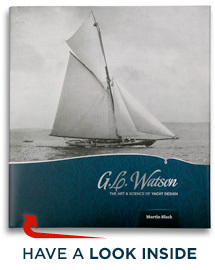 Watson – The Art and Science of Yacht Design – exceptional in quality both for its contents and production value – is available to purchase online here, or from the growing list of worldwide stockists here. This entry was posted in Big Class, book, Clyde yachting, Clydebuilt, Firth of Clyde, G.L. 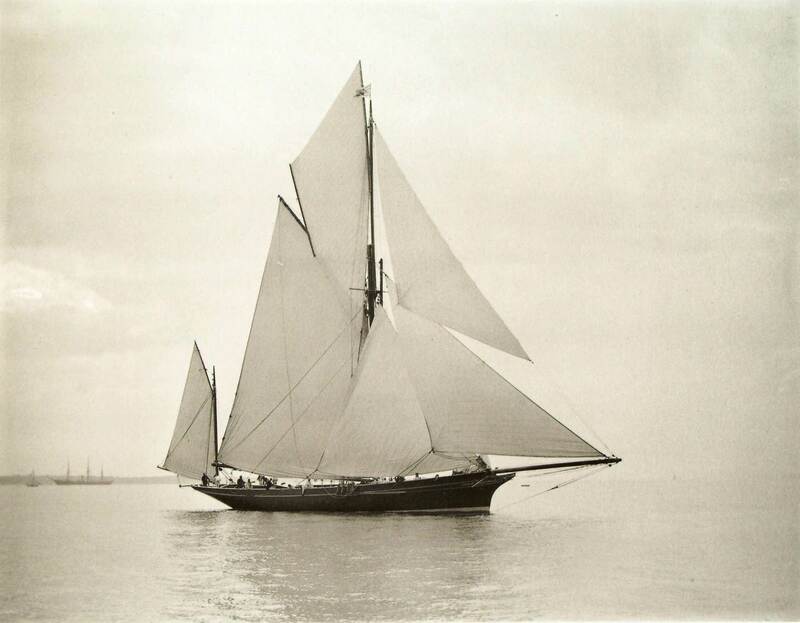 Watson, Glasgow, naval architect, photography, River Clyde, shipbuilding, shipyards, Steam Yacht, yacht design, yacht designer and tagged Clyde-built, D. & W. Henderson, English and American Yachts, Nathaniel Stebbins, Partick, Wendur. Bookmark the permalink.